Much has been written recently about the pervasive violence, internal and external, of the living disaster that is the United States of America. Articles have appeared about domestic violence, racist violence, prison violence, violence in the schools, police violence, violence against women, violence against immigrants, nation-building through genocidal violence, US imperial violence going back two centuries, the culture of violence, etc. Tom Engelhardt sums up much of this nicely in his June 2015 article “Armed Violence in the Homeland.” In the article he reviews much of the violence that occurs nationwide on a daily basis and, under the subheading “Armed Dangers and Meal Tickets,” points out how little danger there is to our lives from ISIS or foreign terrorists compared to the daily police and civilian violence pervasive in America. However, he points out that magnifying this so-called danger is the “meal-ticket” for the bloated national security state and the military-industrial complex. In his other books and articles, however, Engelhardt also astutely documents the American drive to dominate the world through globally projected military violence, a huge militarism driven by the lust for empire, wealth, and the resources of our planet. A rec ent complementary book by four scholars and peace leaders very much agrees. 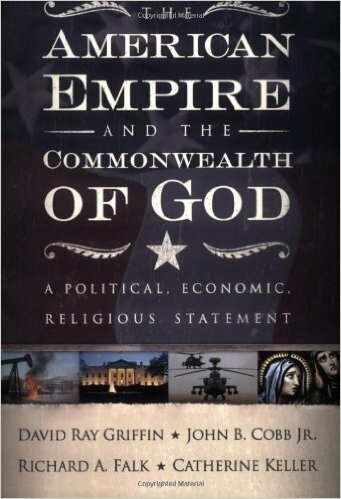 In The American Empire and the Commonwealth of God, David Ray Griffin, John B. Cobb, Jr., Richard A. Falk, and Catherine Keller collectively document America’s drive to dominate the Earth through militarism, deception, economic penetration, and guile. The title of this article is influenced by their book, for I want to point out that the “commonwealth of God” that points beyond violence everywhere on Earth is not characterized adequately by any of these thinkers. Engelhardt proposes no real solutions to the pervasive violence he documents and these four other thinkers, in my view, are merely lukewarm in their assessment of what is necessary if human life is to continue much longer on this planet. There are likely many interconnected causes of violence on all these levels: economic, cultural, technological, systemic, etc., but all these causes keep most Americans in a state of immaturity not much beyond adolescence. Violence is largely a symptom of immaturity: the people who work for the Pentagon are clearly child-like in their ignorant assumptions that violence can solve anything and everything. The people in Homeland Security are similarly child-like in their belief that trashing democracy and freedom can somehow make us safer, and the people on Wall Street are like college students strutting their post-adolescent stuff: “mine is bigger than yours,” or “I’ve conquered or exploited more people than you have”—clearly this lust for power and extreme wealth is as childish as it is ignorant. Garry Leach wrote a perceptive book called Capitalism: A Structural Genocide that underlines the point that there are also deep structural features to violence. Immature people living in immature, undemocratic systems of greed, exploitation, and power will only produce more immature people in future generations. We need to overcome violence on all levels: personally, culturally, and structurally. But there is a second form of structural violence ignored by many and barely touched on in The American Empire and the Commonwealth of God. 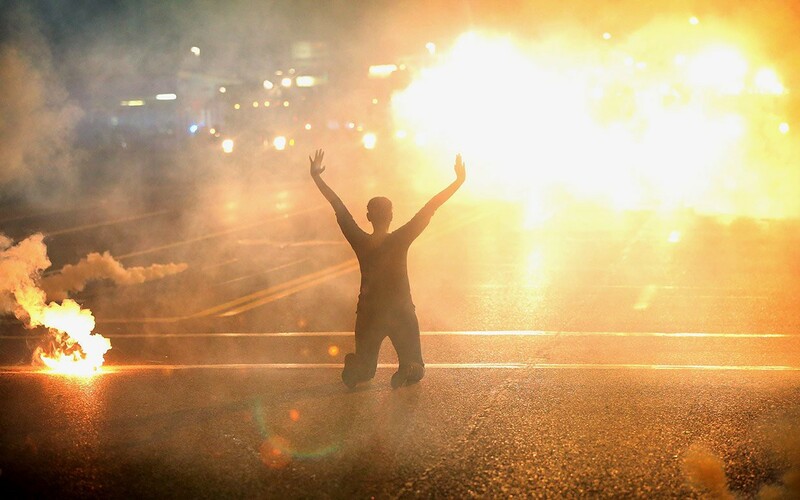 This is the violence of the system of militarized sovereign nation-states, all claiming some absolute rights over this or that portion of the Earth and the right to militarize themselves against the violence of all the other sovereign nation-states. Perhaps Mahatma Gandhi was right when he declared that the nation-state was “violence in a concentrated and organized form.” Both the nation-state system and the system of global capitalism were born three to four centuries ago when human beings were as yet not capable of moving to a higher stage of maturity. Many psychologists and developmental thinkers are agreed on the basic stages of growth in moral maturity. I will summarize this in a generic way. (For more details see my recent books.) Human beings can progressively mature from the early magical and mythical stages of young children to the “ethnocentric” stage in which one identifies with one’s own nation, culture, and religion to stages of intellectual independence and “autonomy” and finally to stages of holism and “integration.” The latter stages inevitably see the world as one and respect its unity in diversity. The fact of the matter is that science (for the past century) has discovered the holism of the universe, our planetary ecosystem, and human life with great clarity and vast amounts of evidence. We are now in a position to do what they could not do when capitalism and sovereign nation-states were being developed—we can now see what holism means in our personal, social, economic, political, and cultural lives and adopt it for ourselves and our planet, overcoming the violence of immaturity and fragmentation and embracing our species and our planet with the unity in diversity that is now clearly understood as the fundamental reality of all things. As Griffin, Cobb, Jr., Falk, and Keller point out, the holism of nonviolence, of unity in diversity, comes from a mature appropriation of the Jewish, Christian [and Islamic] traditions. In this they are so refreshingly different from the legions of so-called Christian, Jewish [and Islamic] fundamentalists who cling to an idolatrous God of vengeance, violence, and destruction of their perceived enemies. The Gospels of Jesus (as opposed to the lurid and revengeful Book of Revelation) clearly teach unity in diversity, nonviolence, universal love, and compassion. However, these qualities must also be structurally translated into our fragmented and violent institutions of global capitalism and sovereign nation-states. The clearest way to embrace the structural holism that will advance human maturity geometrically is to ratify the Constitution for the Federation of Earth. This Constitution (written by hundreds of world citizens between 1968 and 1991 and widely available on the web) is predicated on the holism of unity in diversity for the entire Earth: politically, economically, and ecologically. Only this kind of real conversion from the immaturity of fragmentation, hate, and fear, to the planetary maturity of universal democracy, mutual respect, and planetary cooperation can we turn our disastrous planet around in time to avoid universal death. We are all one species, genetically almost identical with one another. We all have the same needs, fears, hopes, and dreams. We all want our children and future generations to avoid climate collapse or nuclear holocaust. There is one way to go that is clearly superior to vain attempts to reform the UN, empty diplomacy, police body-cameras, or more spying and denials of freedom. We need to replace the UN Charter with the Earth Constitution. We need to really embrace the holism that is the foundation of the universe. This would be the real “commonwealth of God,” since all humans share the Earth in common, human nature in common, and hopes and dreams in common. A true “commonwealth of God” would mean seeing the entire Earth as one economic and political community. Only the Earth Constitution makes this a structural reality and lays the groundwork for making it a cultural and spiritual reality as well. Even though violence and fragmentation are worldwide and not simply “American,” in my many international travels I have found that there is much less violence among people elsewhere, who lack the amazing arrogance and egotism of the American psyche. We can overcome this violence and fragmentation by identifying ourselves as truly “world citizens,” truly children of universal law under the Earth Constitution, and free of the identification with the fragmented and distorted laws of so-called sovereign nations. Let’s do it. The move to planetary maturity comes from a decision at the deepest level of our lives, one that is possible for us all to make. Let’s truly embrace the holism of our situation and assume the dignity of real world citizens operating under the unity in diversity of the Constitution for the Federation of Earth.